Eden and John’s East River String Band have been releasing albums and touring America and Europe since way back in the days of old – around 2006, to be exact. The brainchild of John Heneghan, Eden Brower was soon lured into the duo with promises of chocolate, a National Resonator Uke and her name being before John’s in their lengthy moniker. They play a vast spectrum of traditional American Blues, Country and Pop music ranging from the late 19th to the early 20th Century. With John on vocals, guitar and mandolin and Eden on vocals, guitar, kazoo and the aforementioned resonator Uke, their love and reverence of old music shines through in every song. 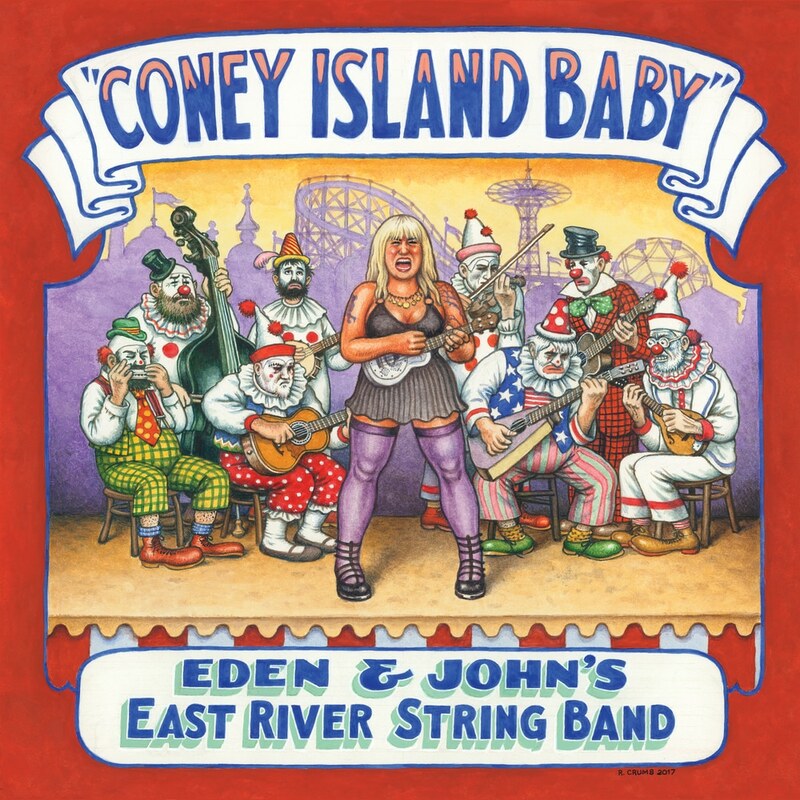 They have released four albums, and often have special guests sitting in with them for their recordings and live performances – including Robert Crumb, the famed underground cartoonist who also does all the artwork for the band causing Eden to exclaim, ‘My legs are not THAT big!” to anyone who will listen.